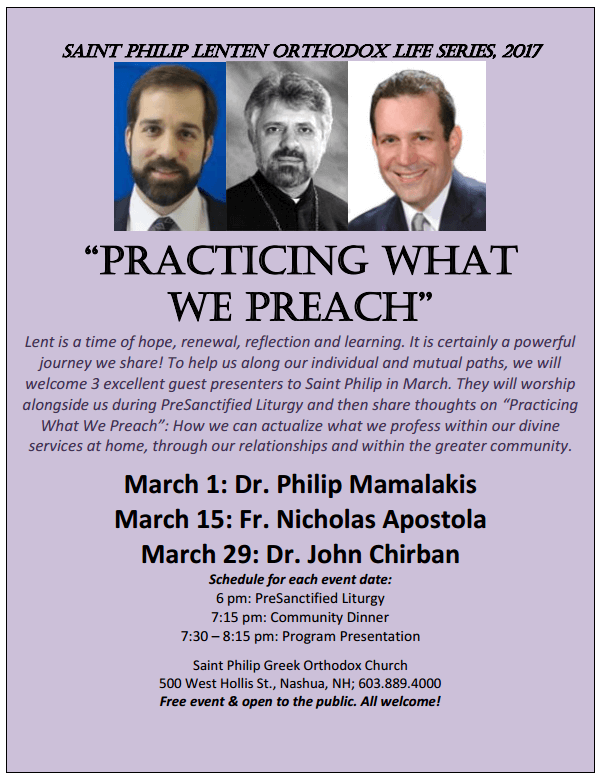 Our Lenten Orthodox Life Series, “Practicing What We Preach,” begins this Wed., March 1, with Dr. Philip Mamalakis. Join us for PreSanctified Liturgy at 6 pm, with a Lenten dinner and Philip’s presentation to follow. All parishioners, friends and the general public welcome–event is free!